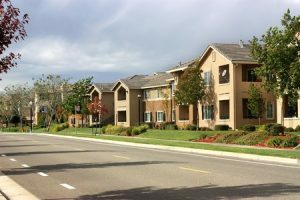 Signs You Need a Professional Condominium Manager - Advanced Management Inc.
For many condominium boards, keeping up with everything is a challenge. Managing a condominium is a lot more than just collecting fees and assessments. Boards are also responsible for marketing open units, screening buyers, handling repairs, dealing with problems and much more. Since many board members have day jobs and are simply unable to dedicate their entire lives to their duties within the association, many boards struggle to get everything done. If this sounds familiar, it may be time to think about hiring a professional property management company. While you may think that the board saves money by not working with a management company, the investment could pay for itself. Here are a few signs that you may need to hire a condominium management company. You struggle to understand condominium law and regulations. There are numerous laws and regulations that apply to condominiums and condominium owners. If you feel like your Board of Directors is in over its head, it may be a good idea to enlist the help of an expert. Failure to abide by the law could end up costing you a lot more in the long run. Community members require more time and assistance than your board can offer. Keeping up with the needs of members of any community is a challenge for even the most organized boards. Since many members likely hold other jobs and are simply unable to provide round-the-clock assistance, it may be better to hire a manager who is dedicated to running your property. You’re feeling burnt out. Successfully managing a condominium or any other type of community is a lot of work. If you and other board members are feeling burnt out, it might be time to enlist the help of a professional.